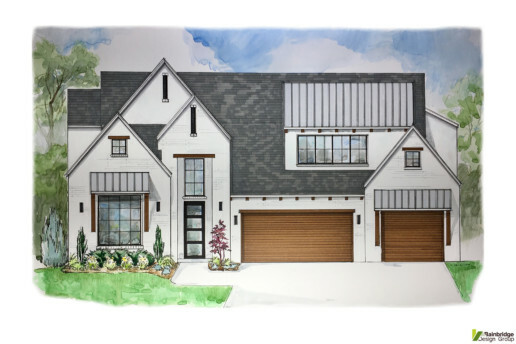 At Bainbridge Design Group we believe that for a home design to be truly great it has to not only function well but have curb appeal that draws you in from the street. 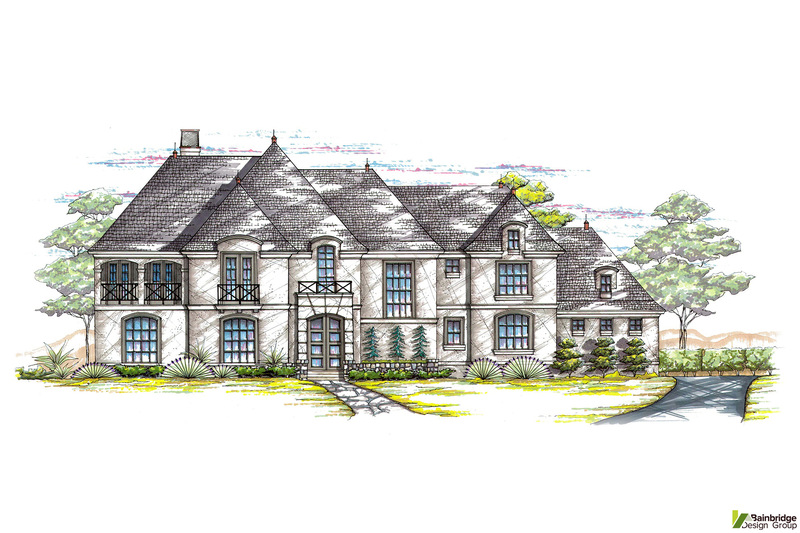 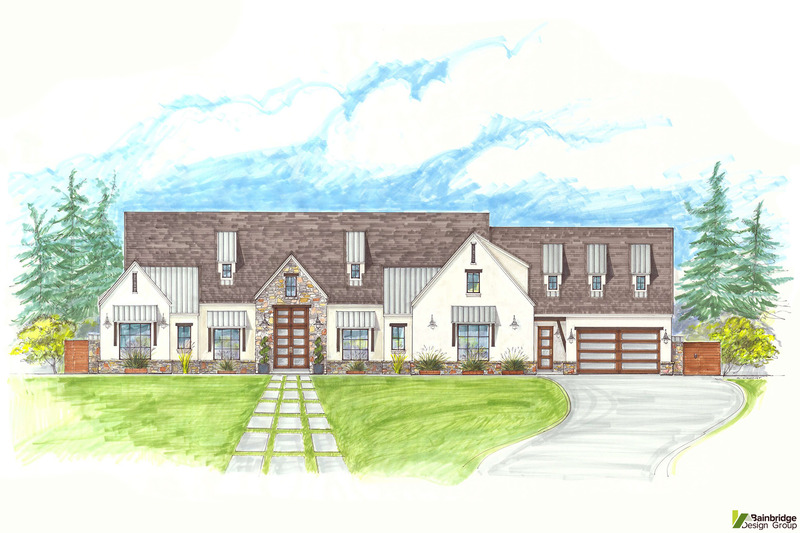 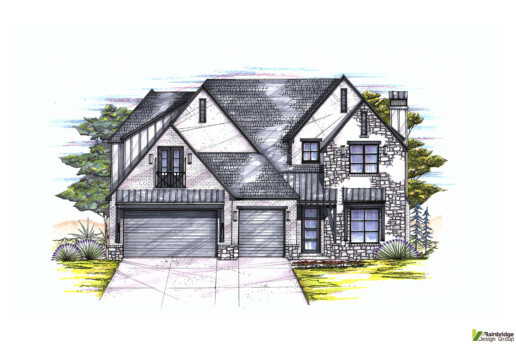 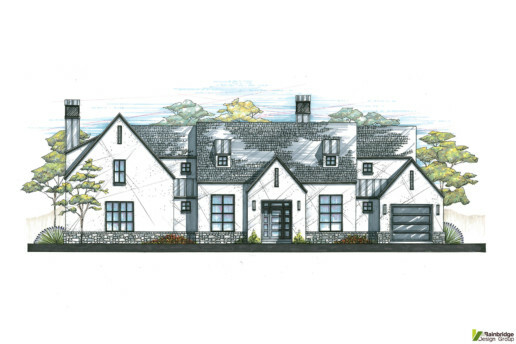 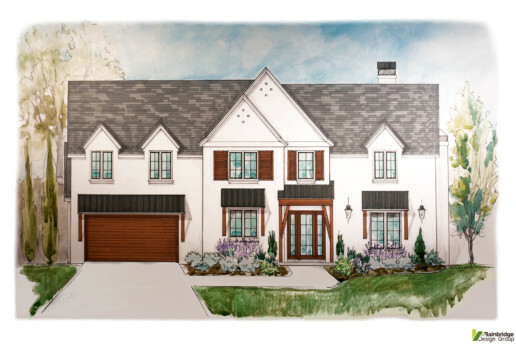 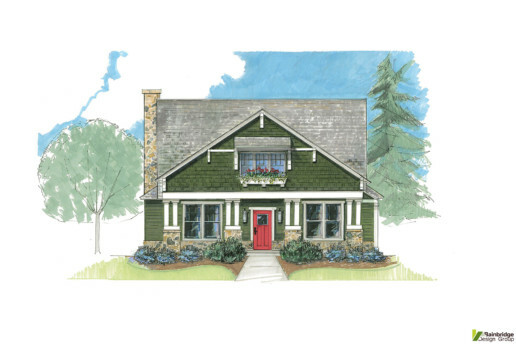 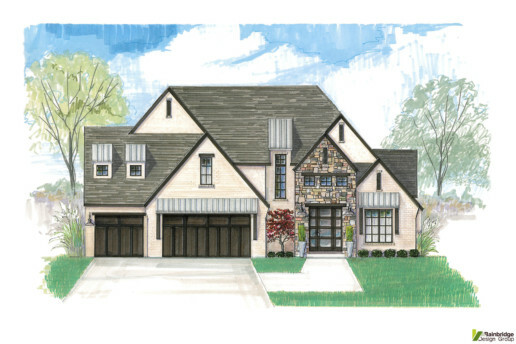 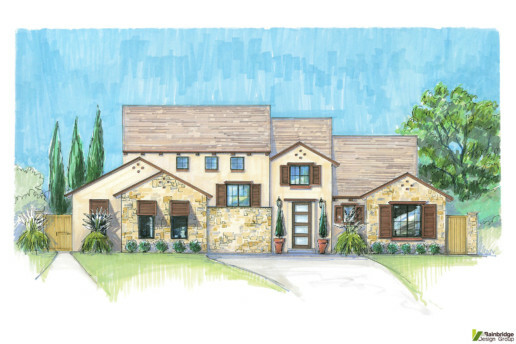 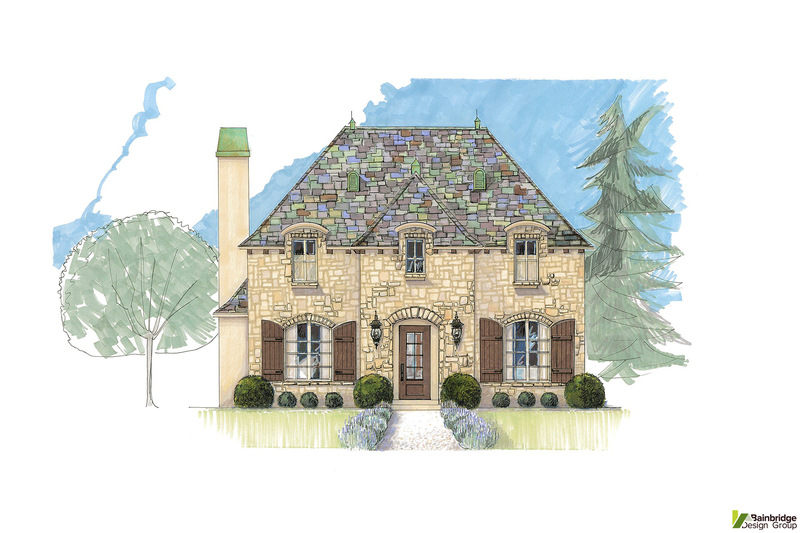 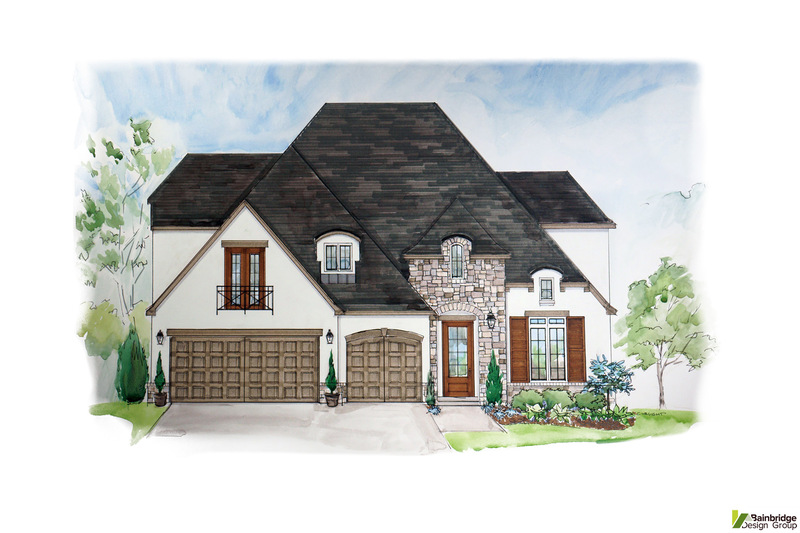 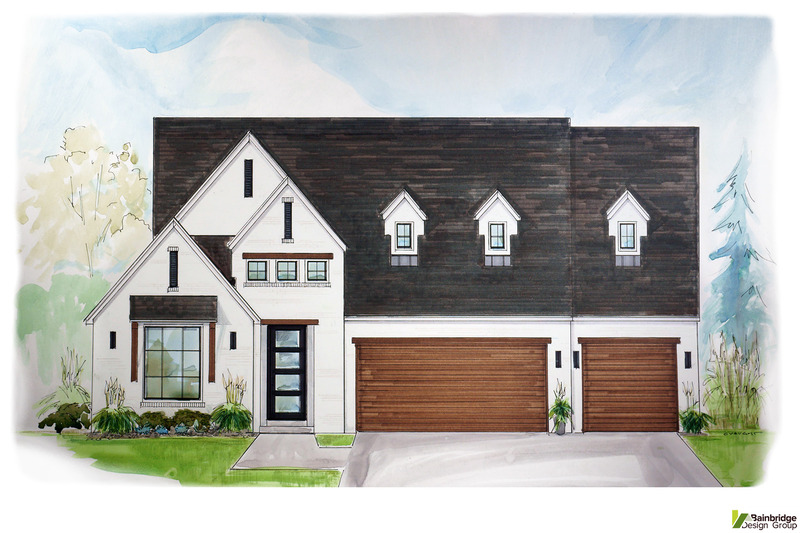 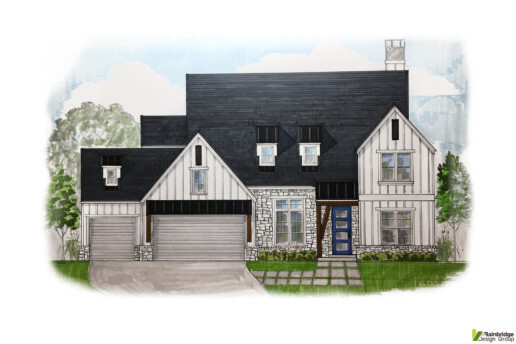 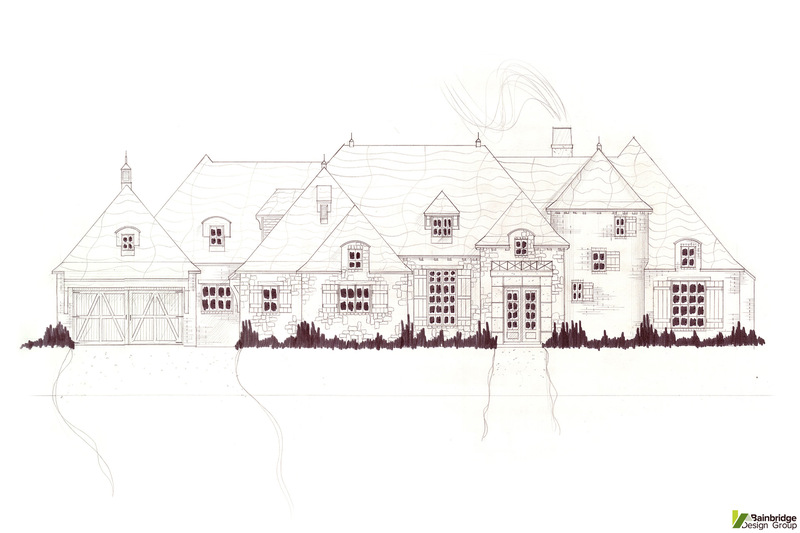 Our goal is to design “Architecturally themed” homes that are true to their selected style and heritage. 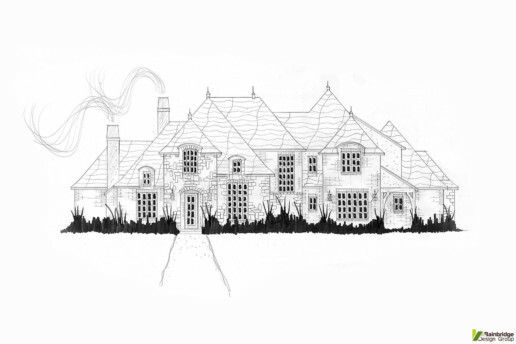 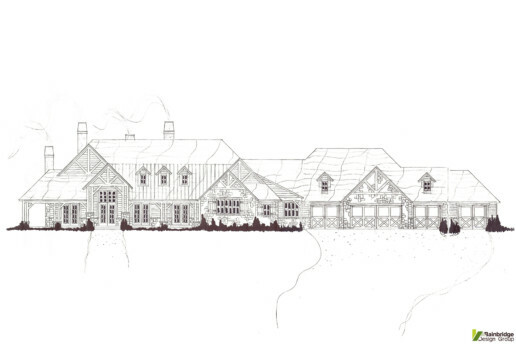 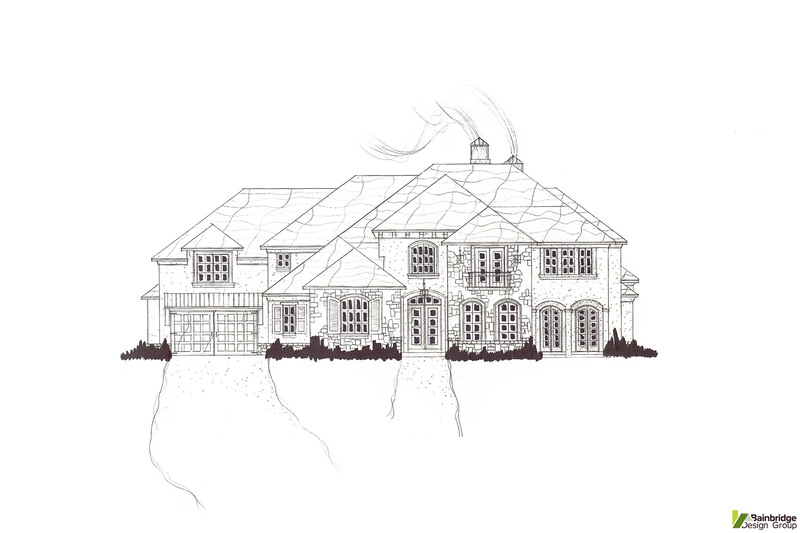 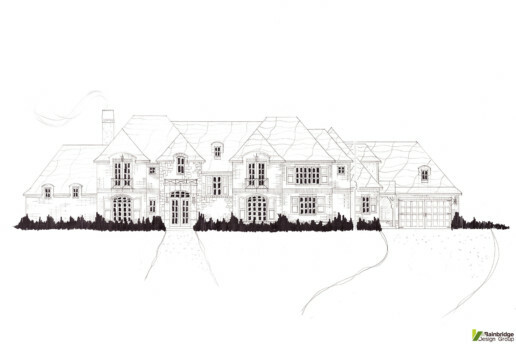 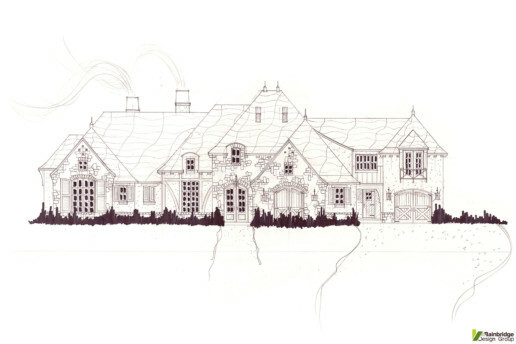 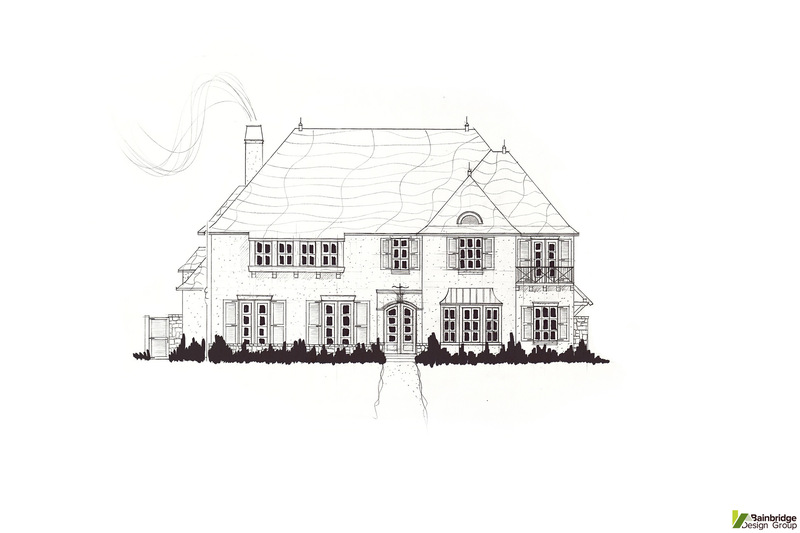 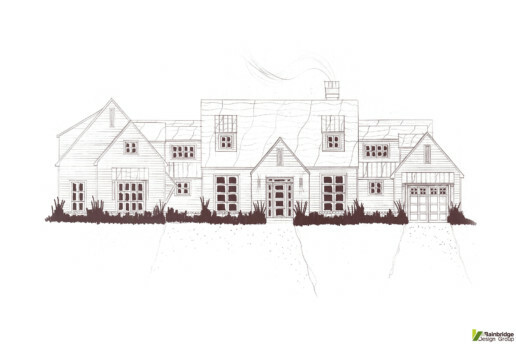 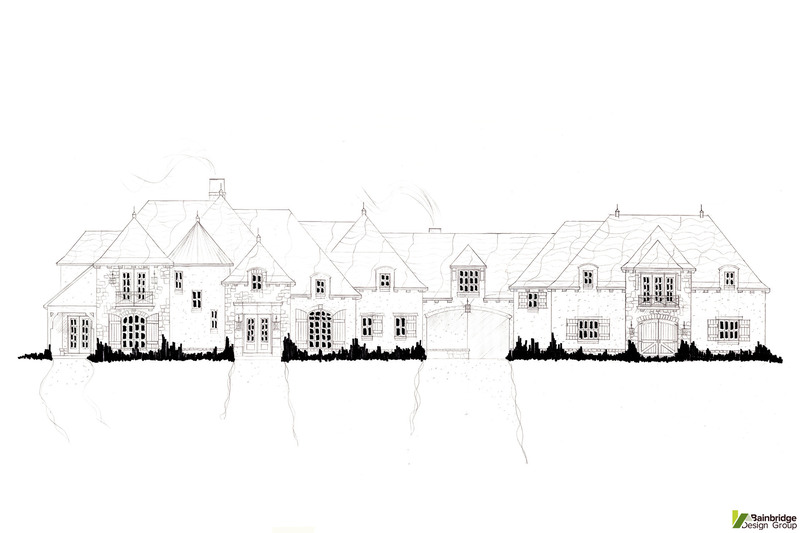 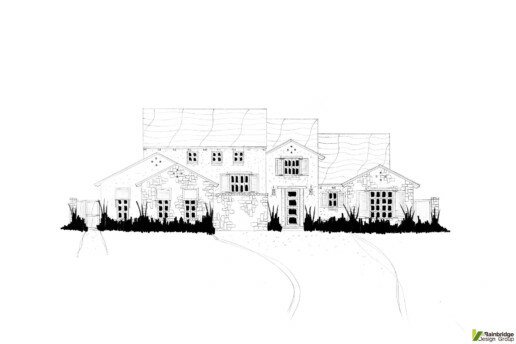 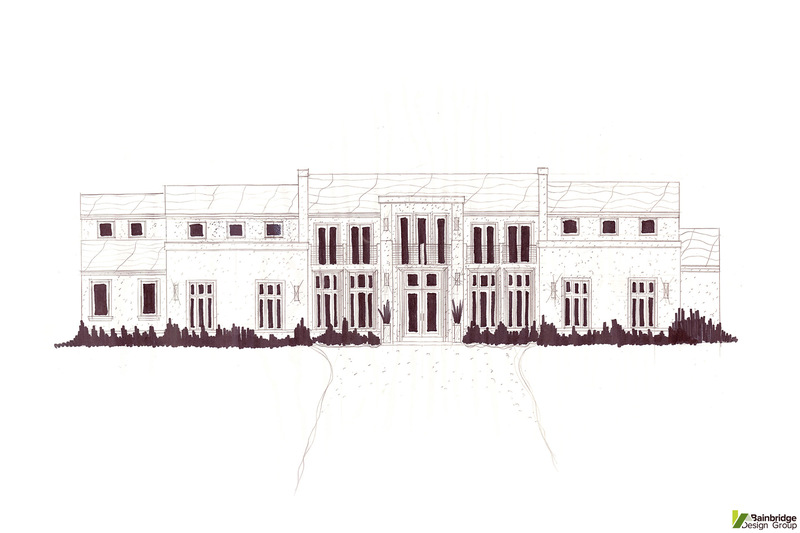 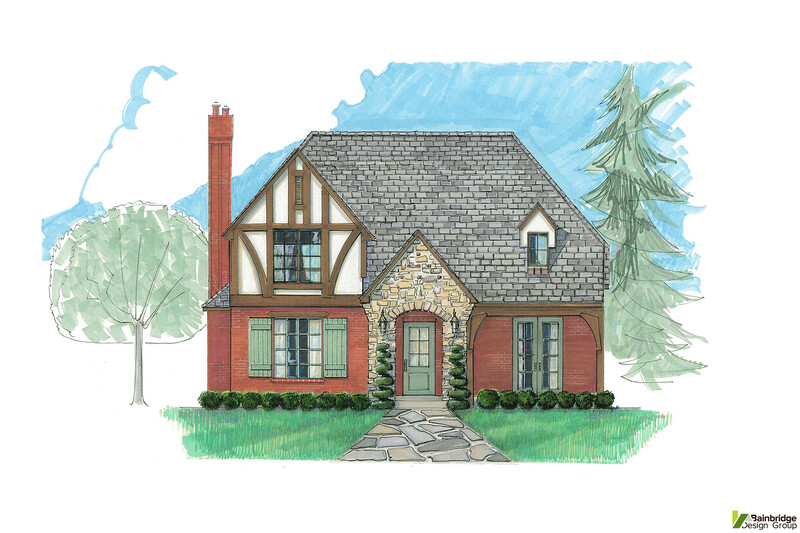 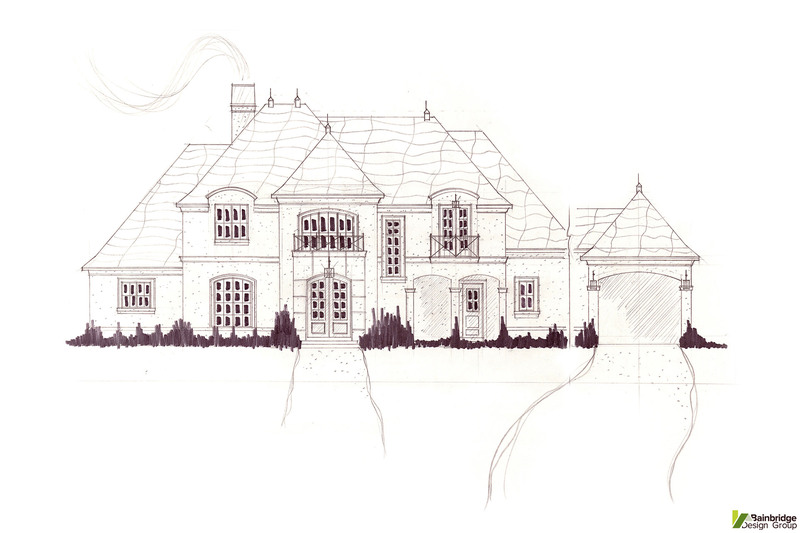 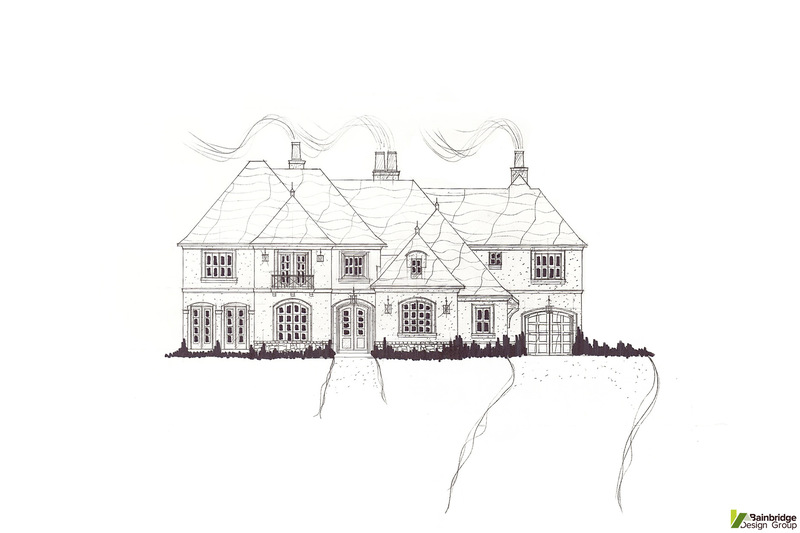 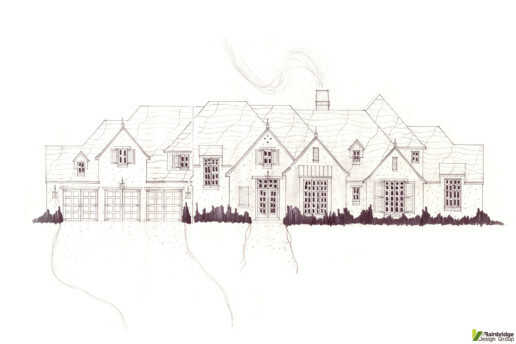 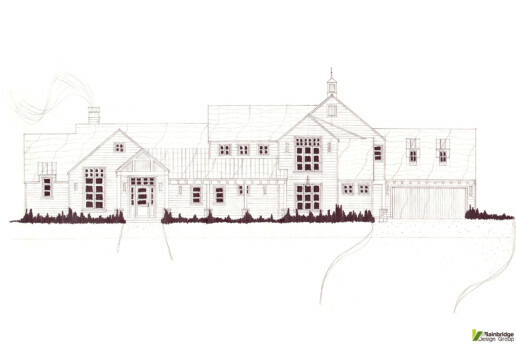 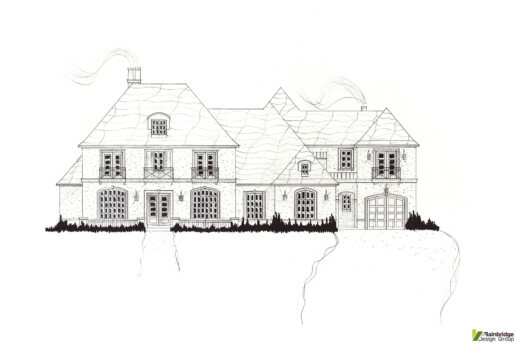 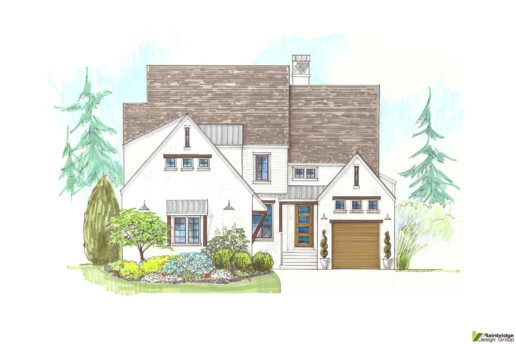 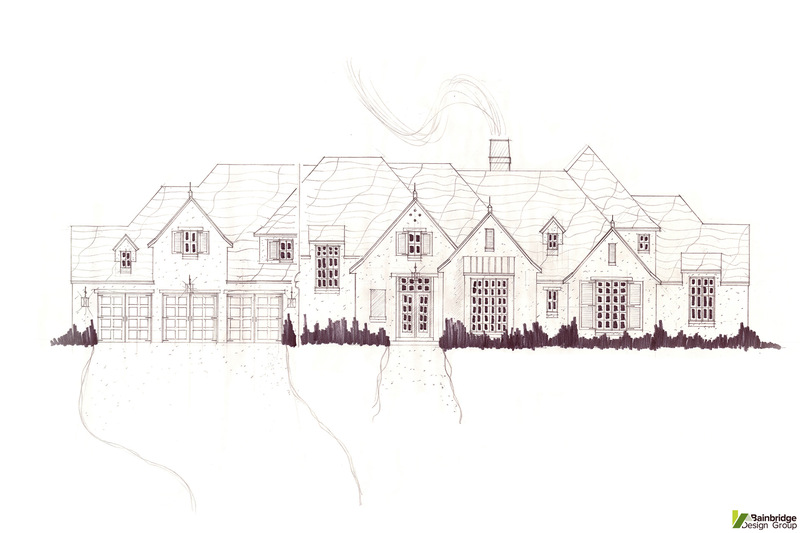 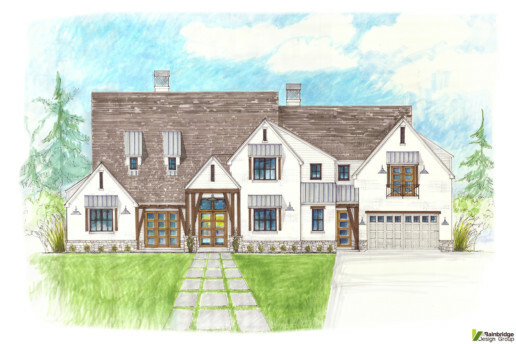 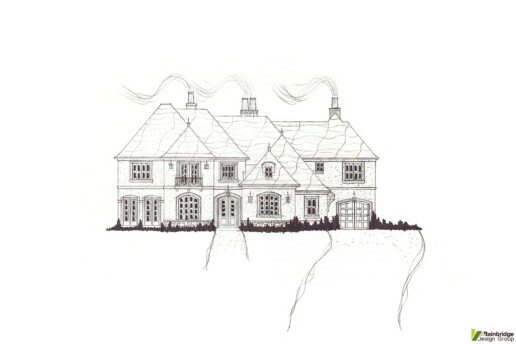 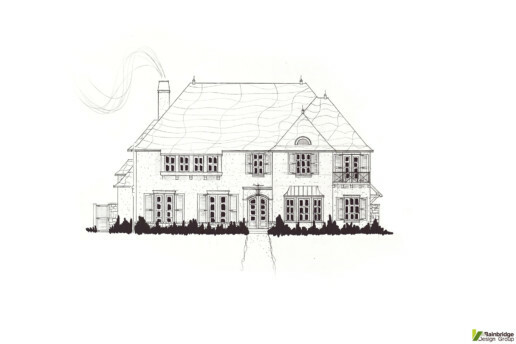 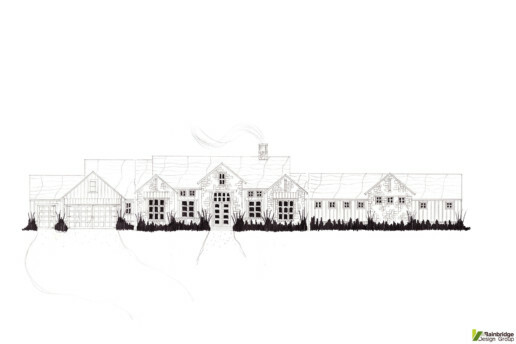 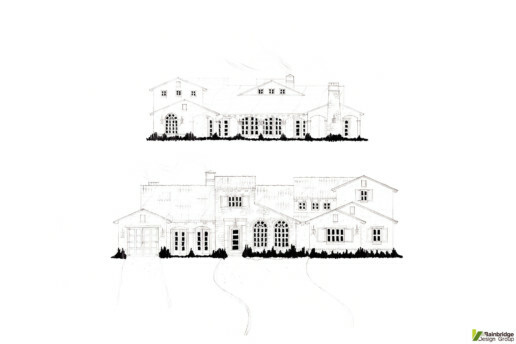 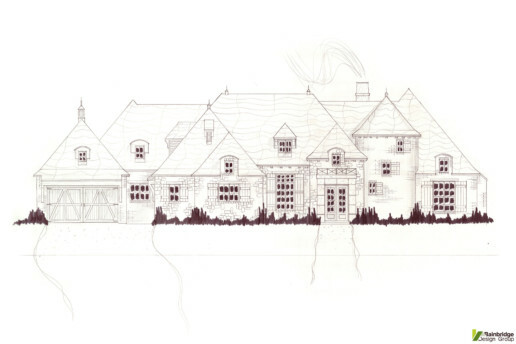 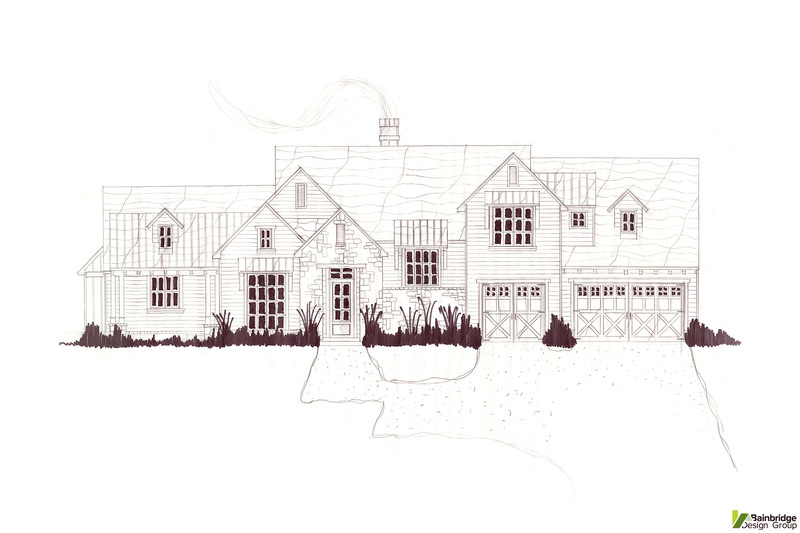 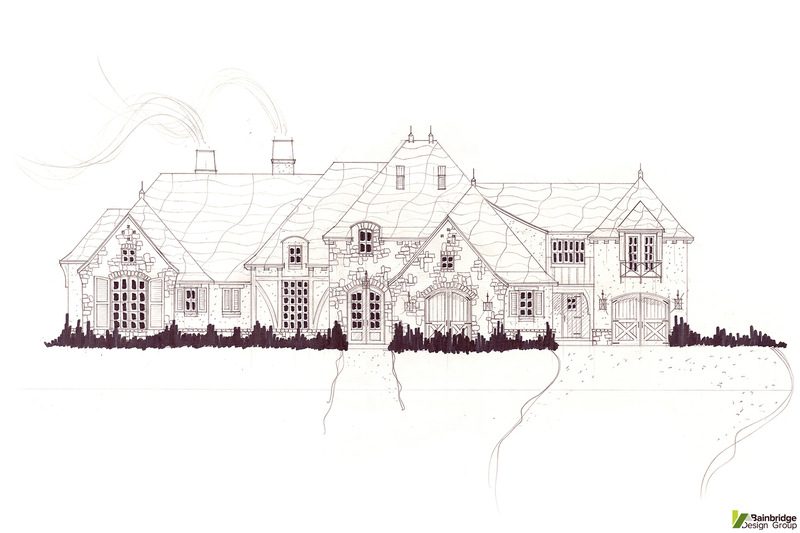 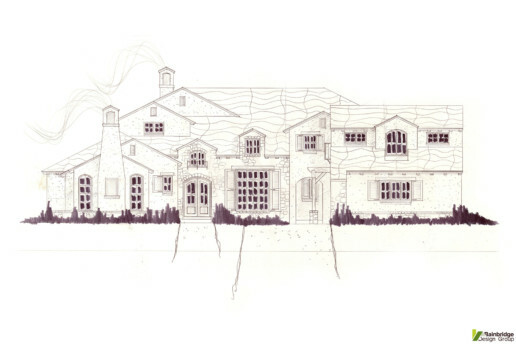 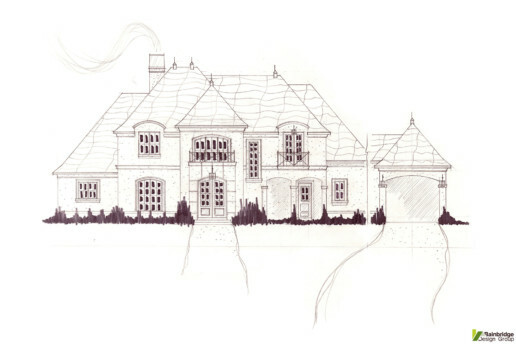 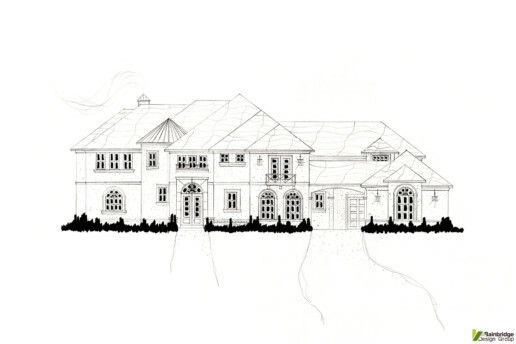 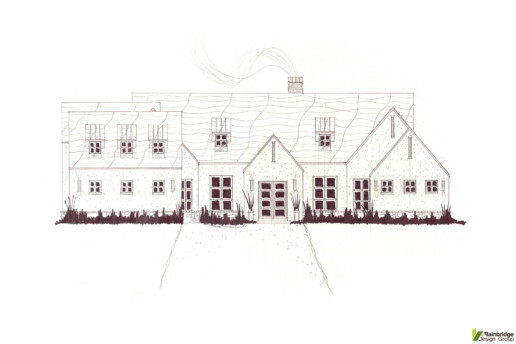 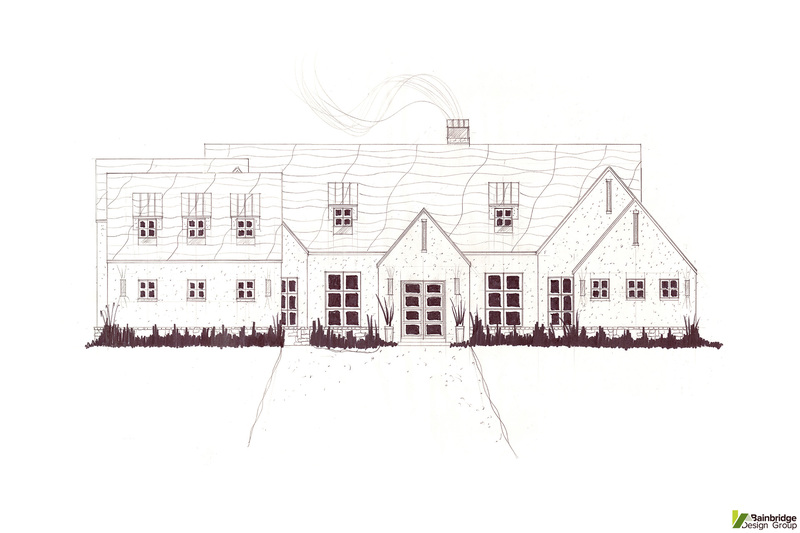 Hand drawn house sketches of the front elevation are the first step in communicating the character of the home. 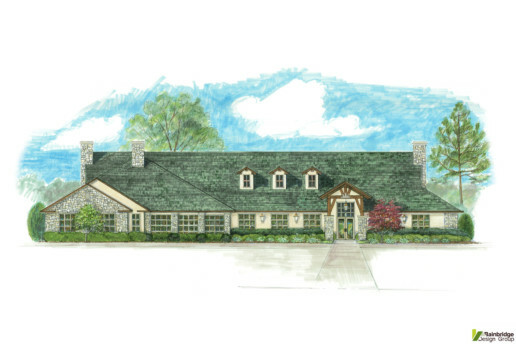 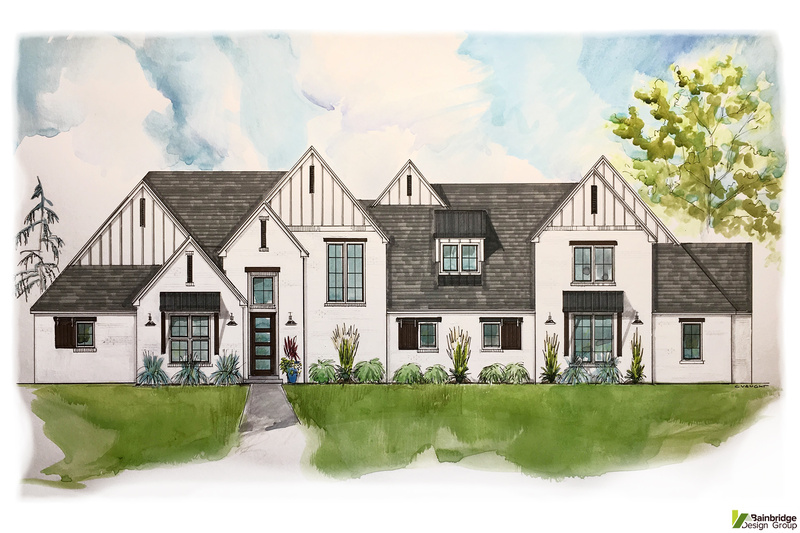 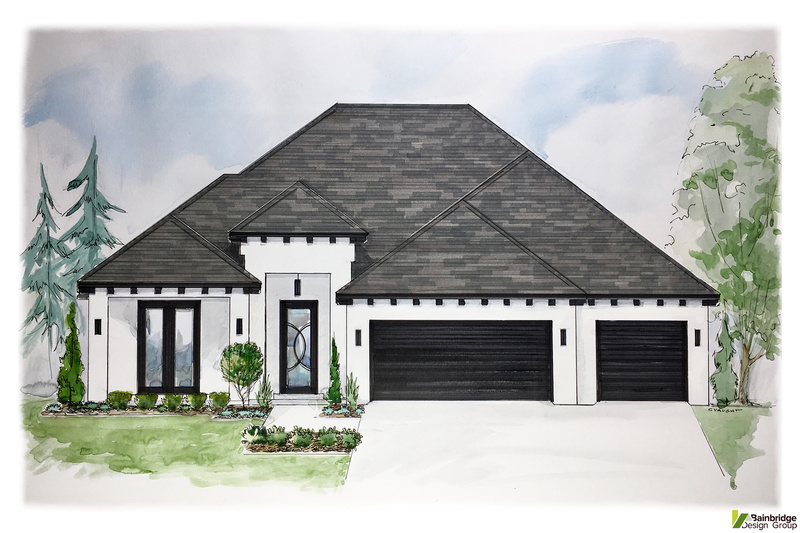 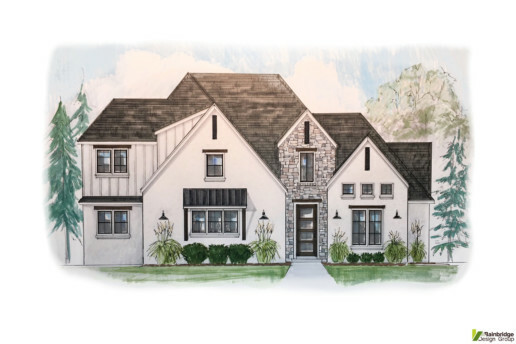 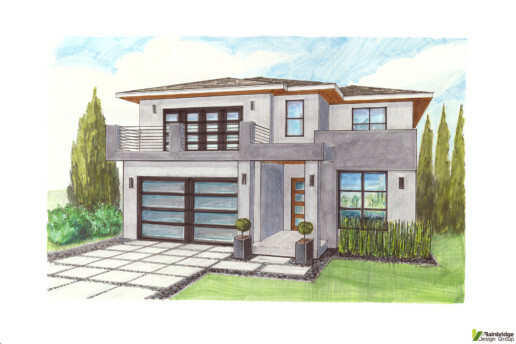 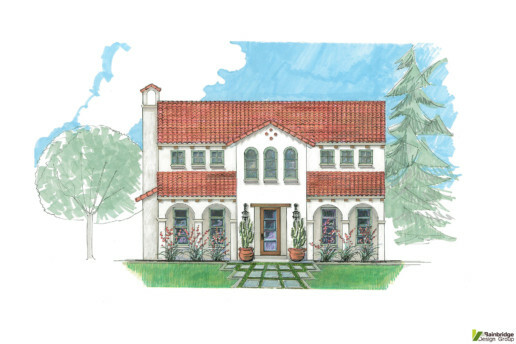 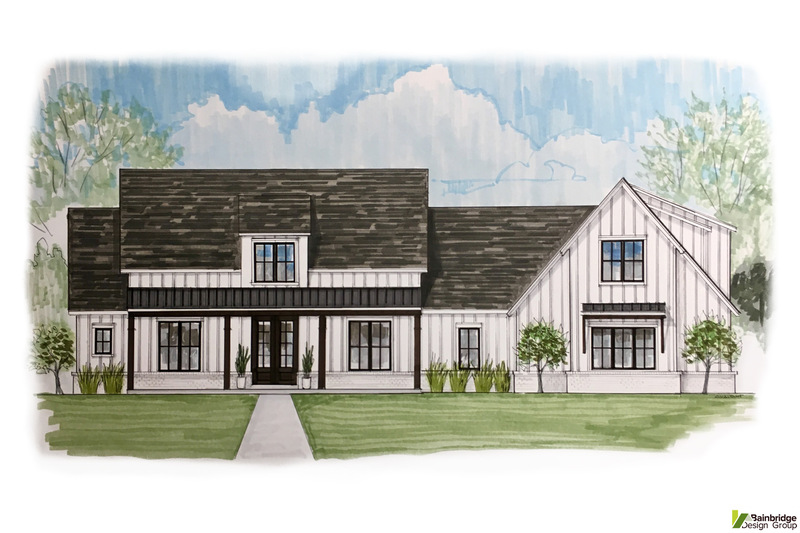 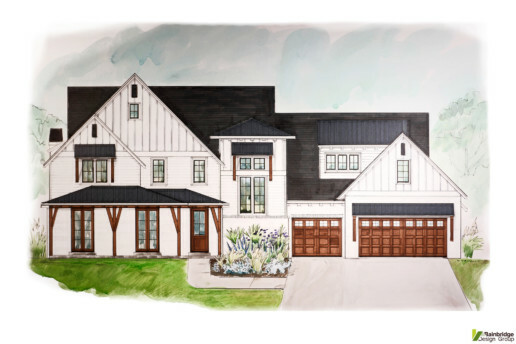 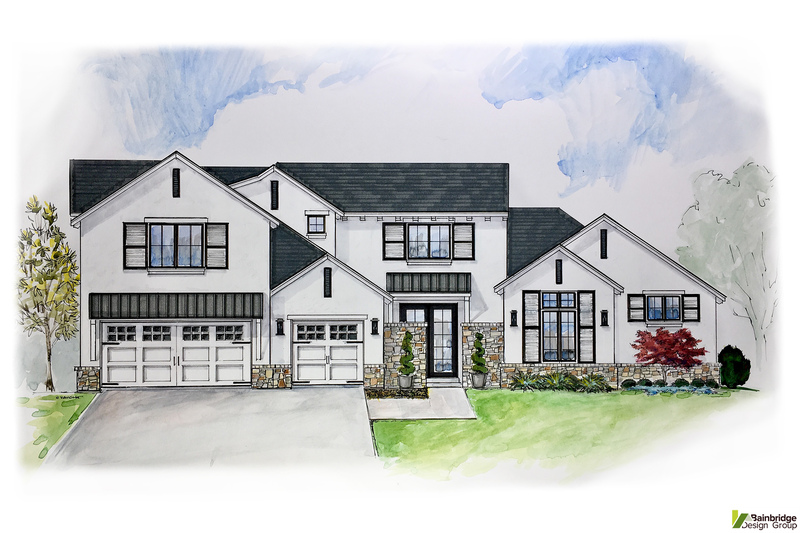 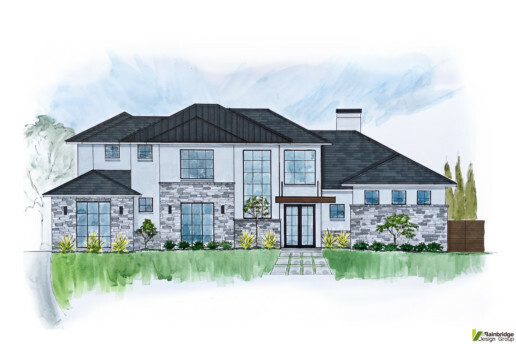 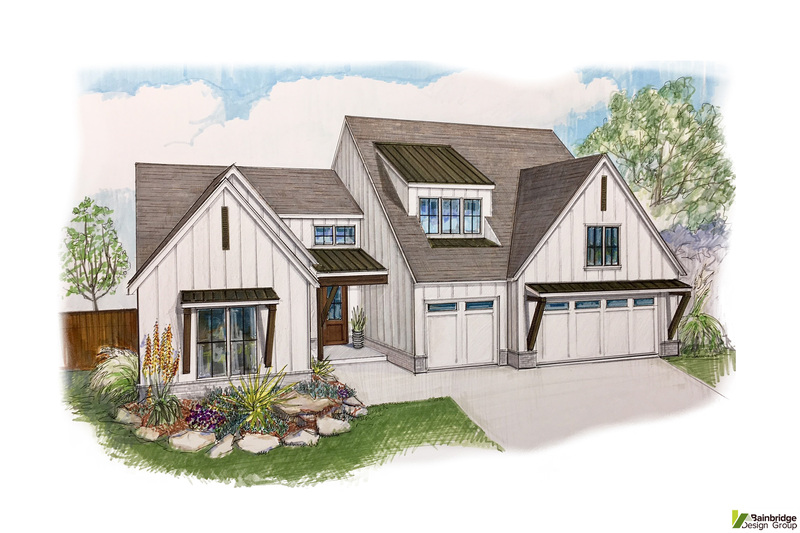 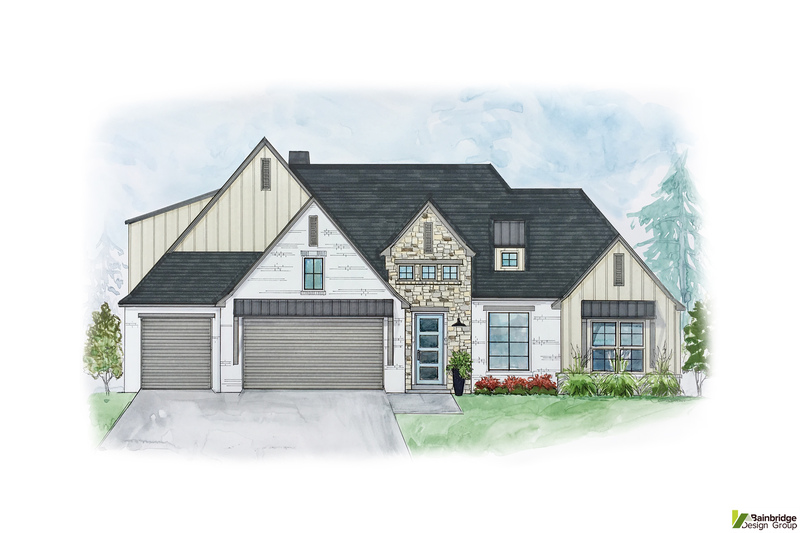 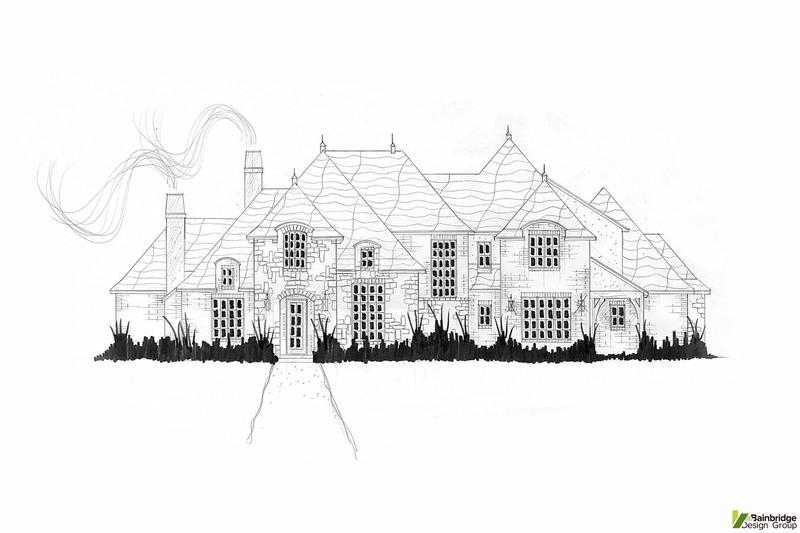 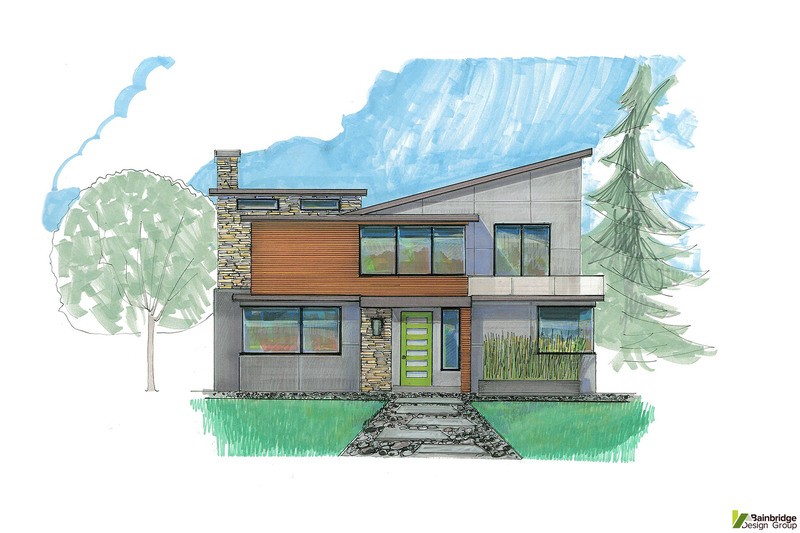 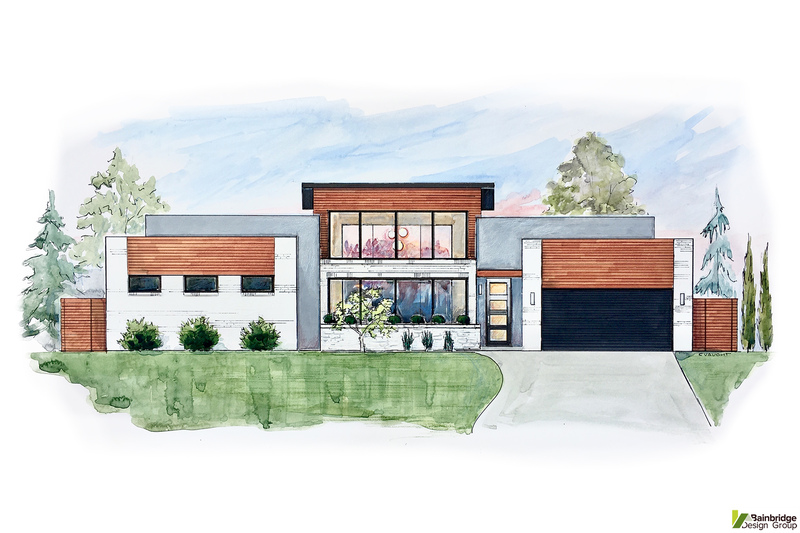 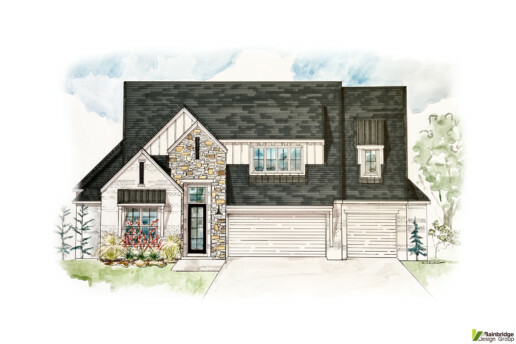 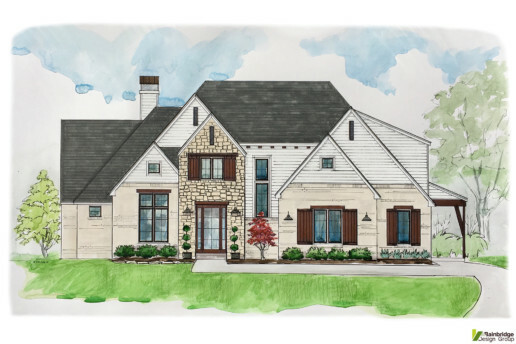 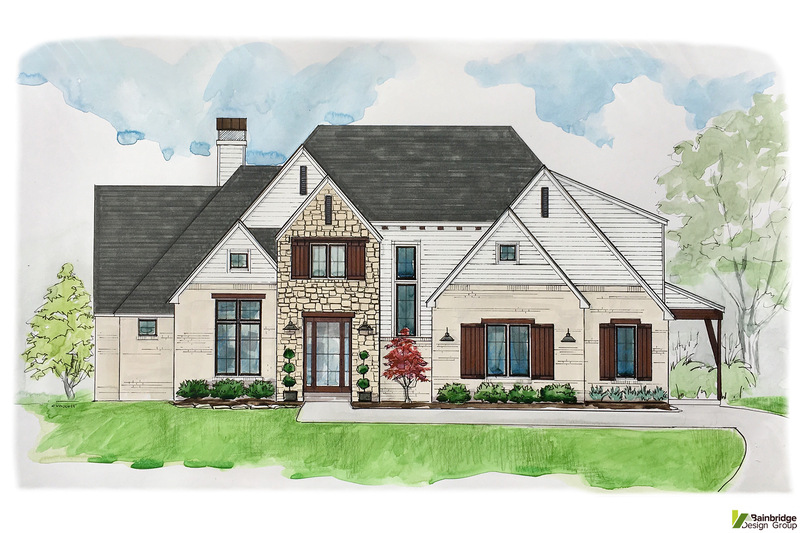 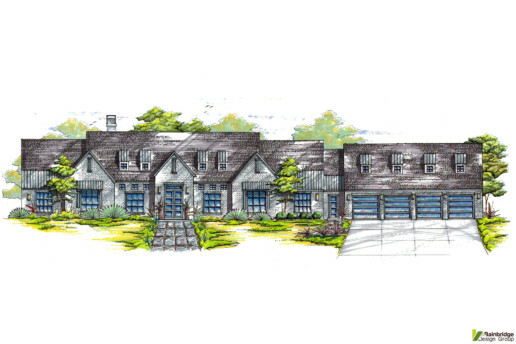 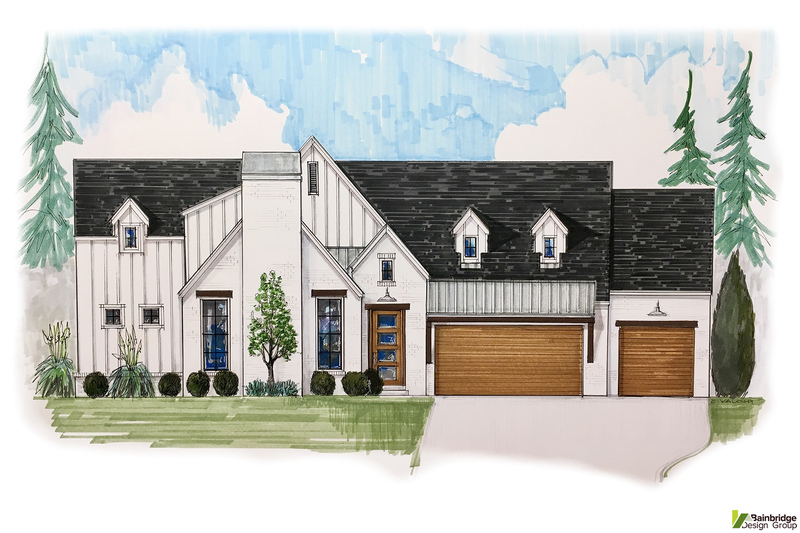 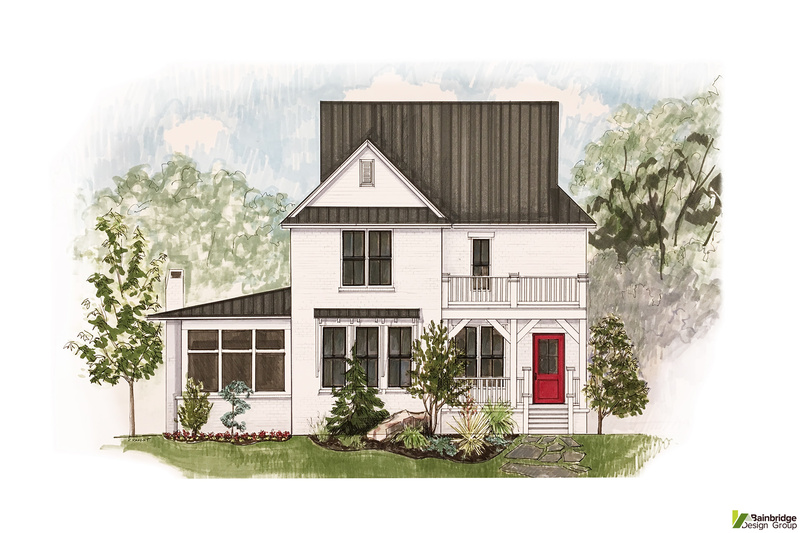 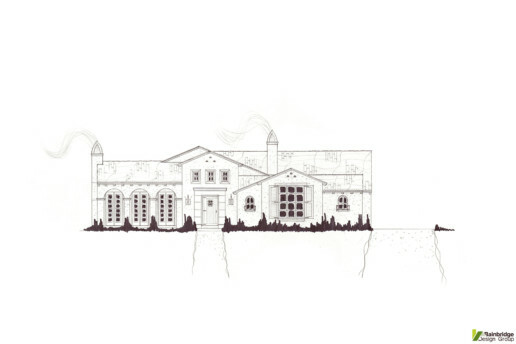 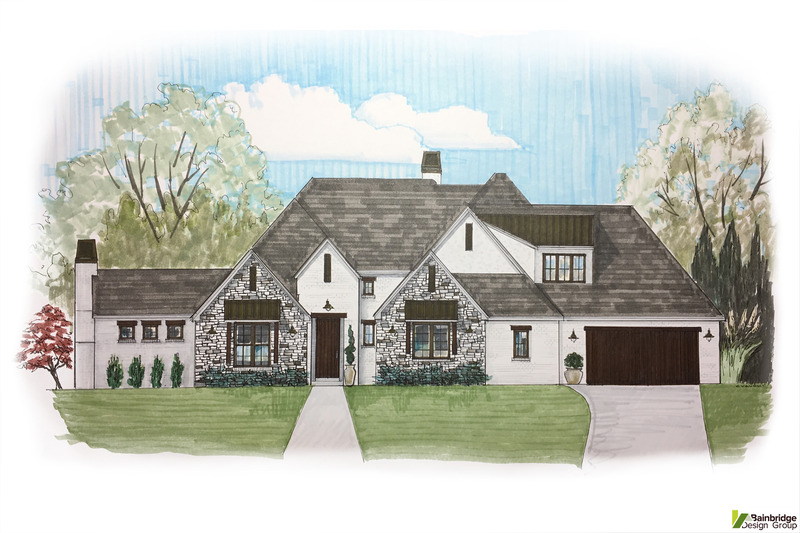 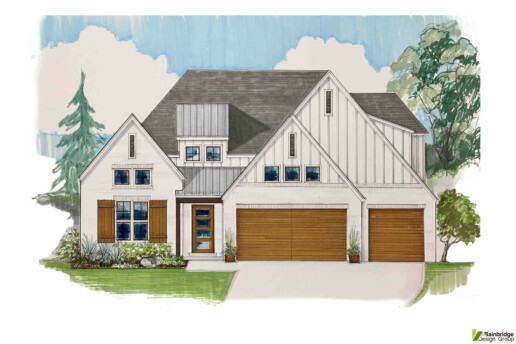 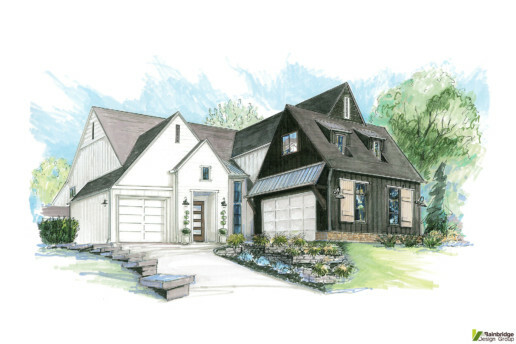 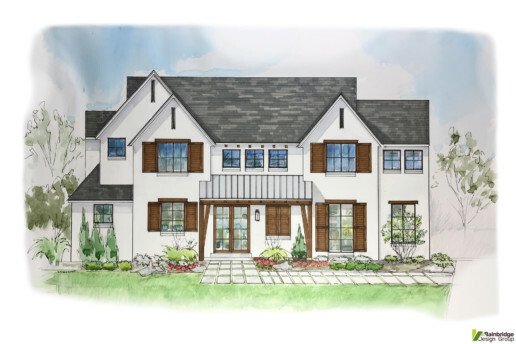 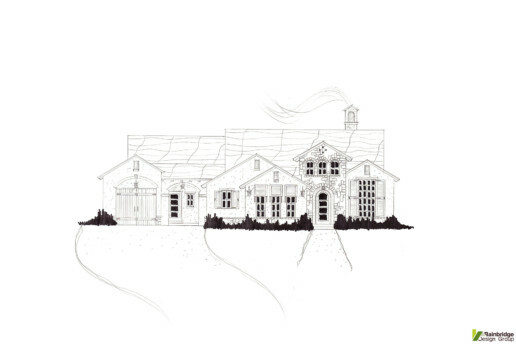 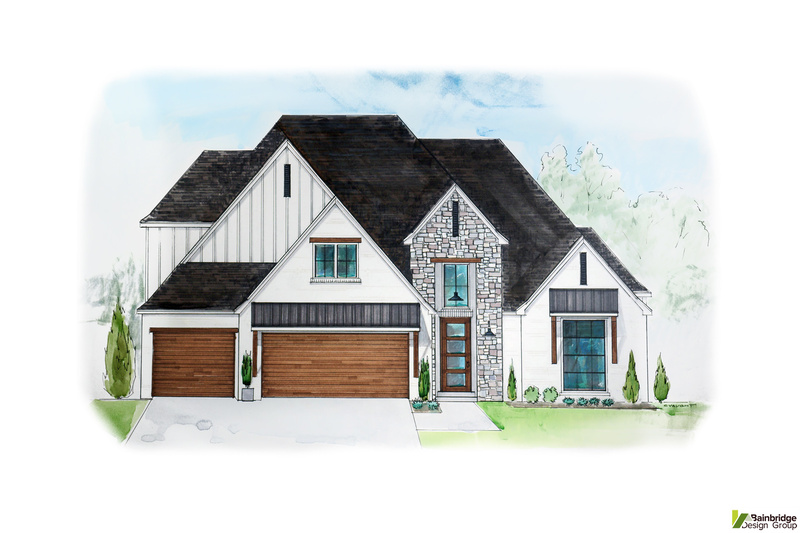 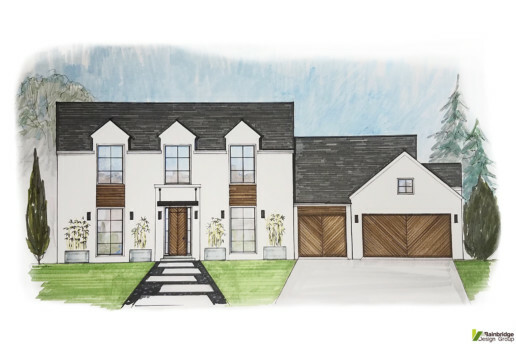 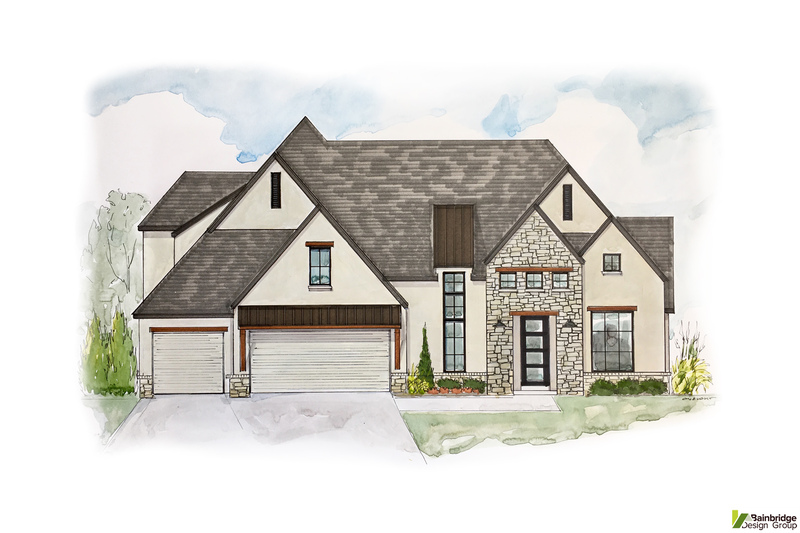 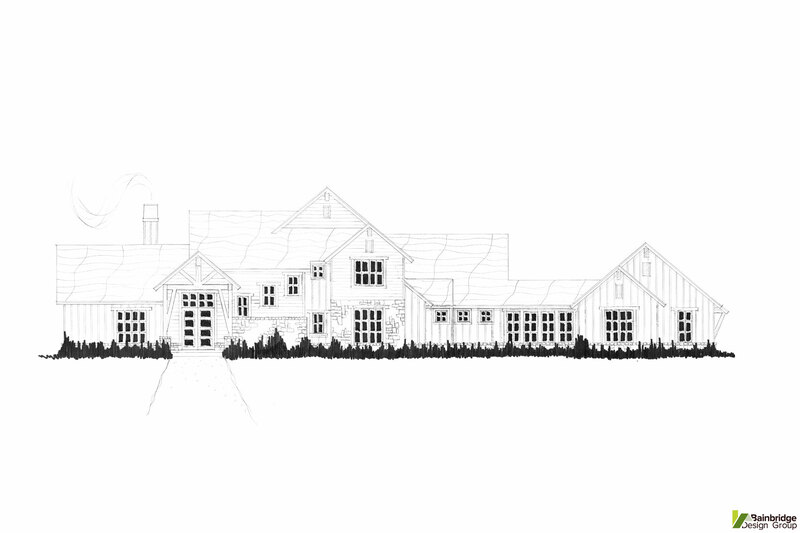 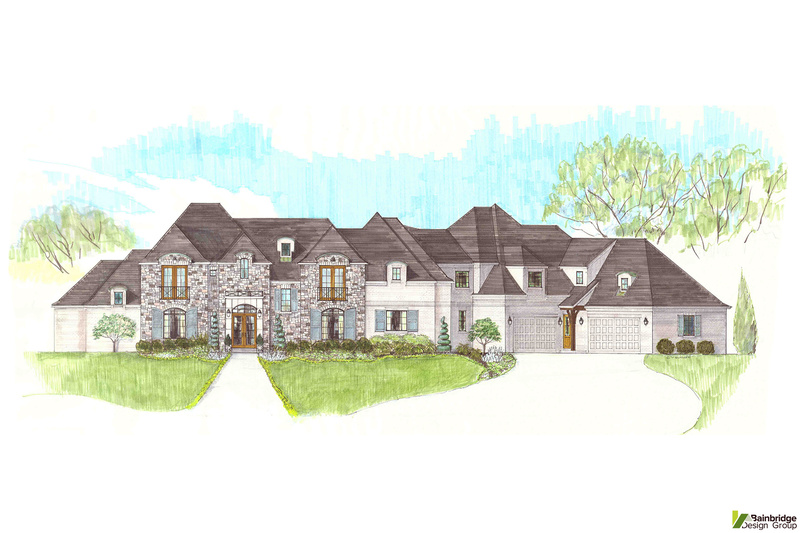 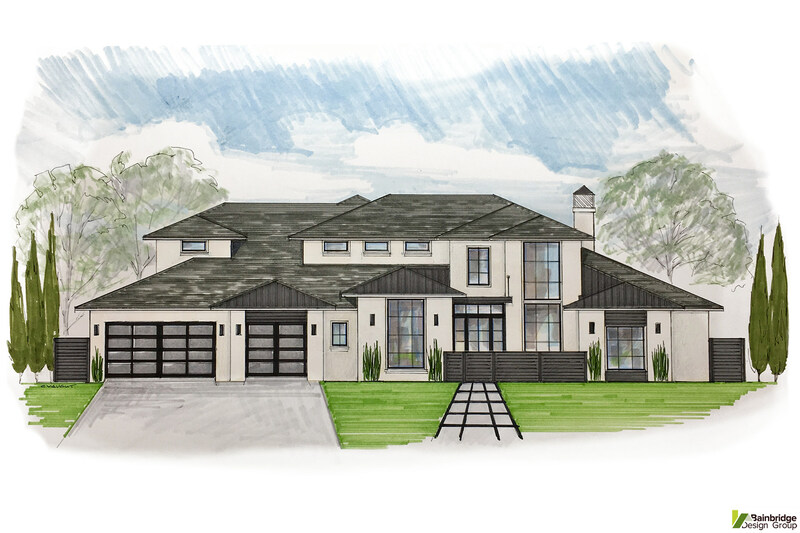 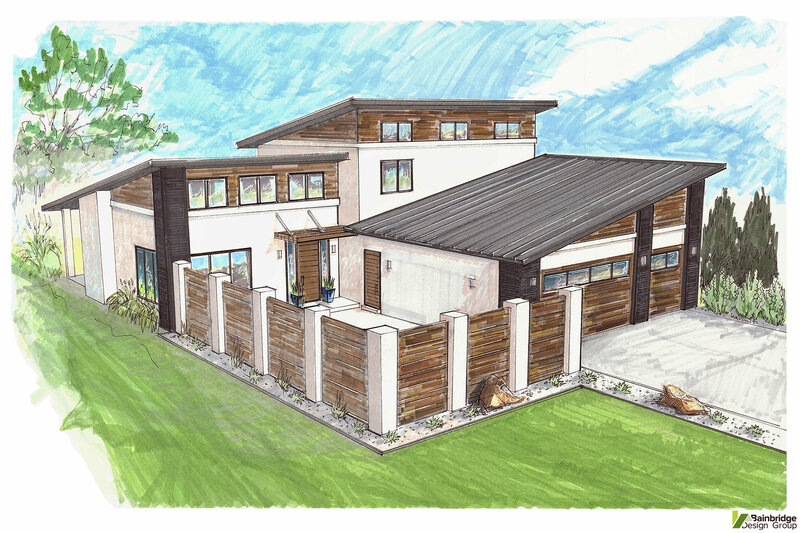 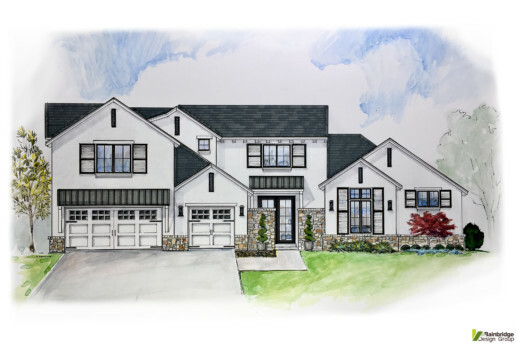 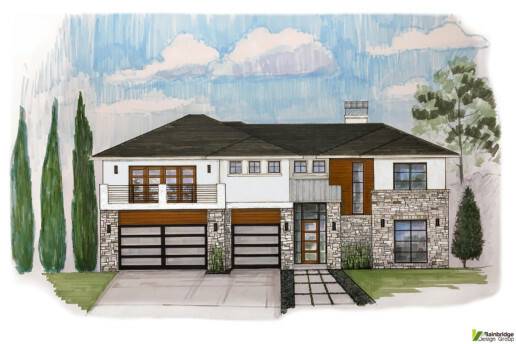 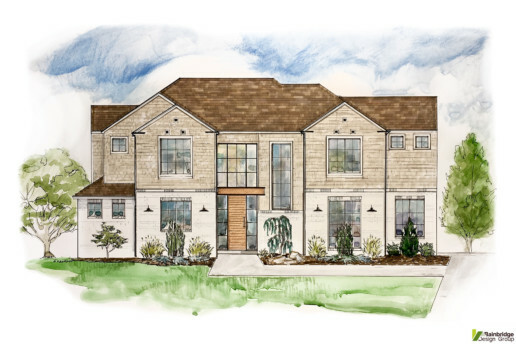 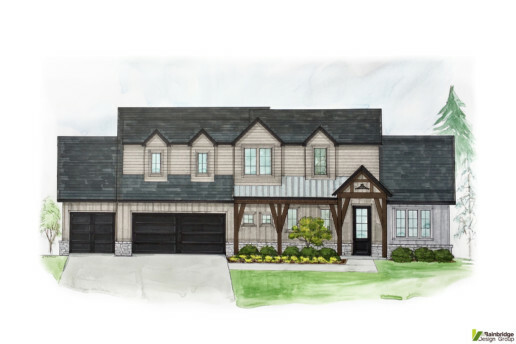 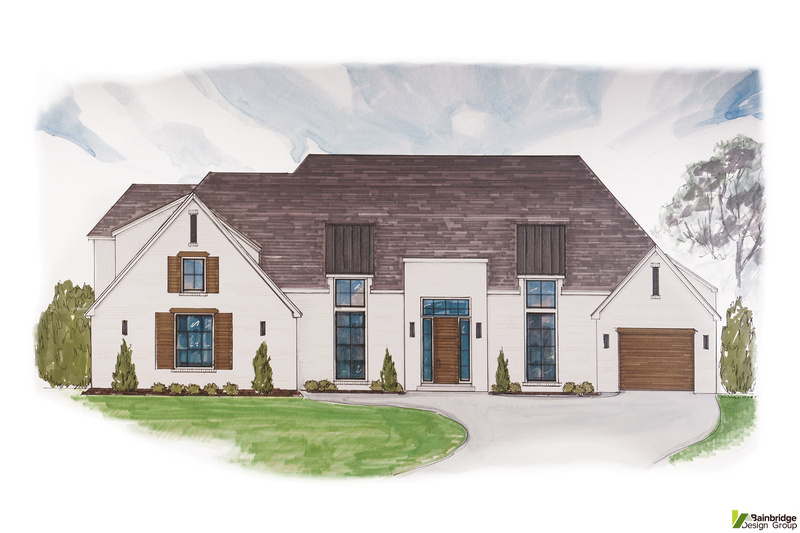 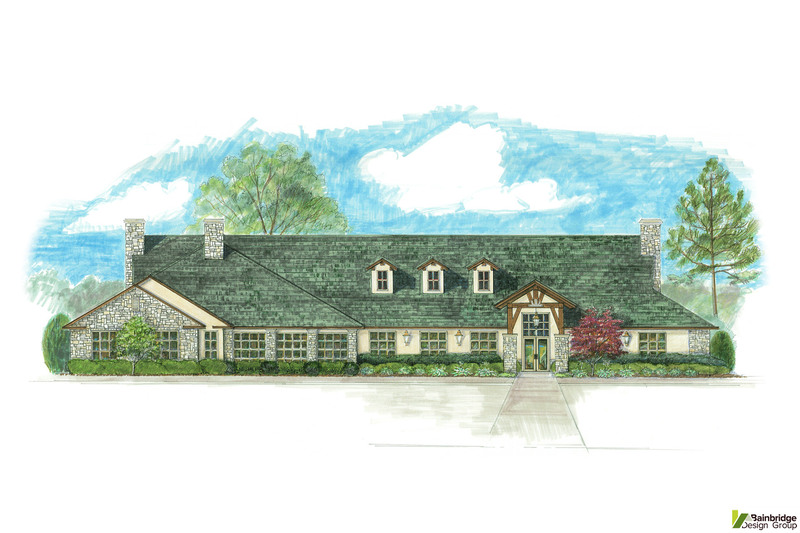 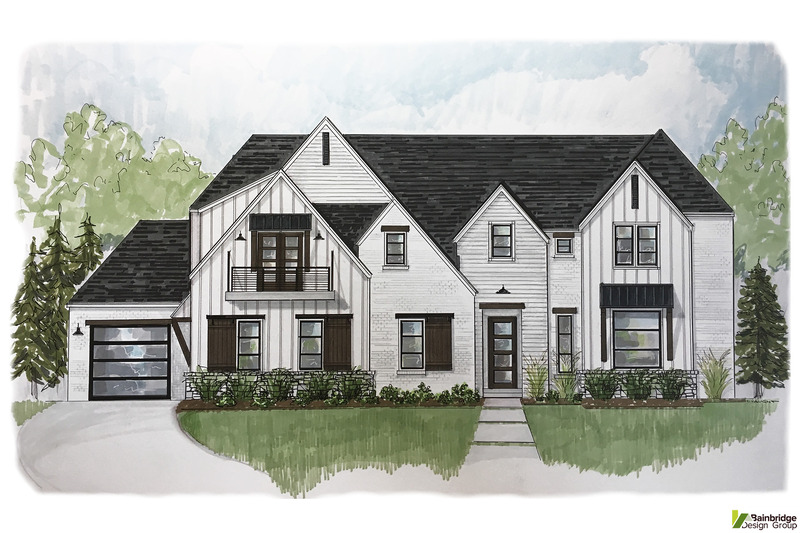 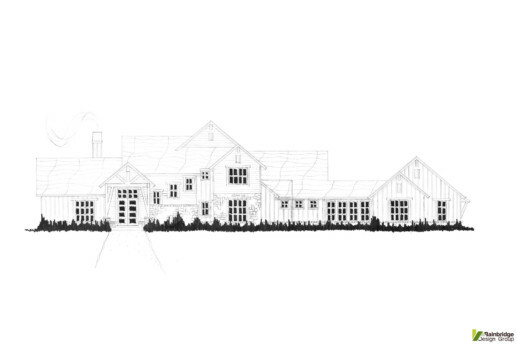 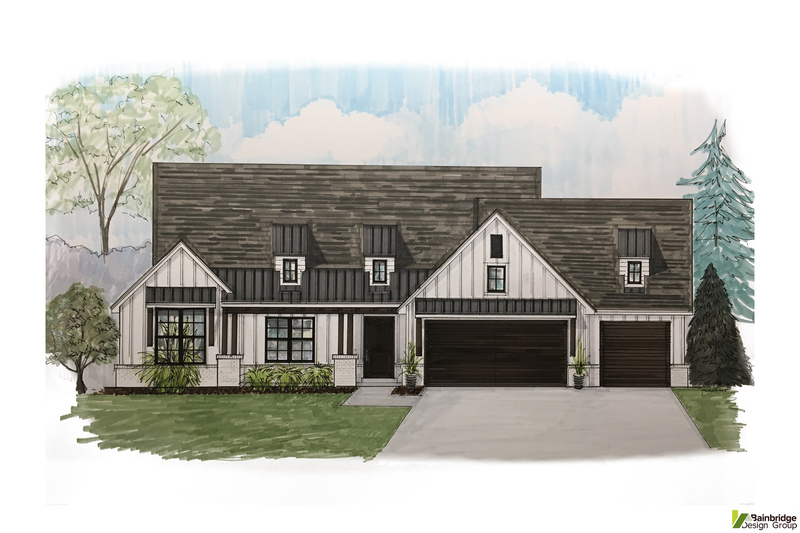 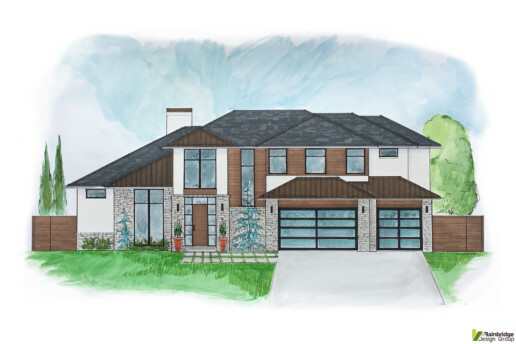 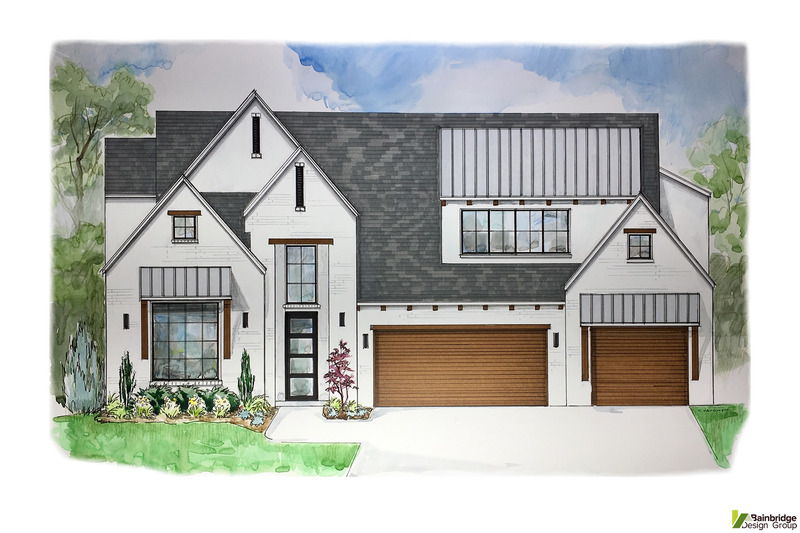 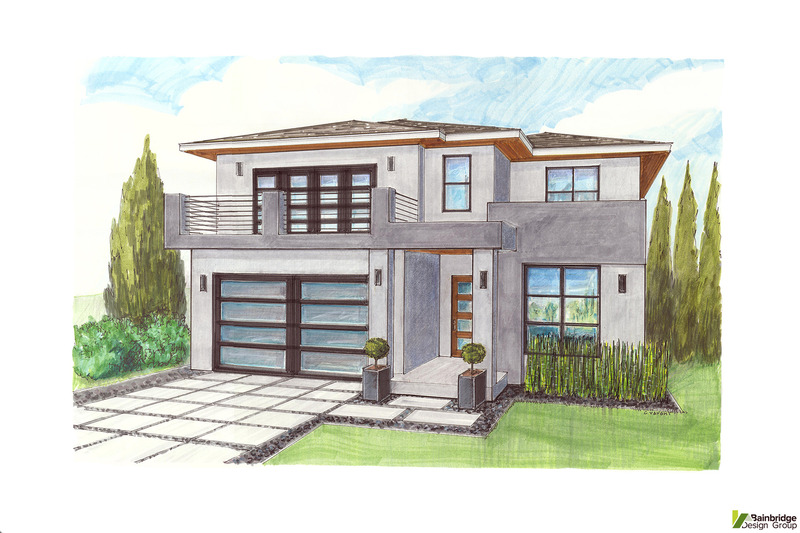 In these sketches we experiment with the Architectural styling and components that will later become the defining elements of the exterior of the home. For more home design styles and ideas, click to view our portfolio page.